Peter Hernandez is one of pop’s current A-listers that have a timeless formula once that would have enjoyed as much acclaim in the late 70s or 80s as it does now. Although it was probably a smart move to change to the stage name of Bruno Mars to give him a little more edge in the pop-drenched era of the noughties. See, his real talent lies in his ability to shimmy between the lines of incredible musical prowess and the over-top showbiz elitism that seems to come as part and parcel of pop these days. 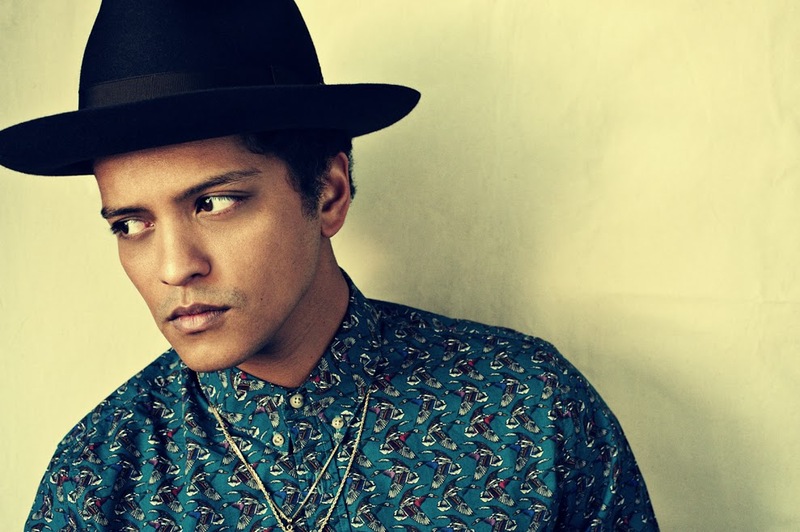 His music is built on a firm formula of catchy riffs with even more infectious choruses, it’s a bedrock that seen him release two incredibly successful albums, Doo-Wops and Hooligans in 2010 and Unorthodox Jukebox in 2012. In the four years since his last album, he had most notably collaborated with Mark Ronson to perform ‘Uptown Funk’ in 2014. This collaboration helped Mars’ carve out a reputation for being equal parts ballad-singer and funk-singer. In fact, that collaboration with Ronson would mark a new era in his discography with the launch of more jazz-swing sound we’ve come to know him for in 2017 with his album 24K Magic. Admittedly, the fans that are turning out on the first night of his two sold out shows in the capital are here for his chart-toppers, his dancefloor-packers, and the jams that can get you in the perfect mood for a long weekend. However, Mars chooses to mix in some of his lesser known tracks in amongst the classic hits; ‘Chunky’ and ‘Versace on the Floor’ wouldn’t be the first tracks that spring to mind when I think of Mars but they certainly get the crowd moving, nonetheless. Established slackers’ anthem, ‘The Lazy Song’ is noticeably omitted as well as the darker ‘Gorilla’, with the set list undoubtedly formed around the singer’s third album. In fact, the biggest anthems ‘Uptown Funk’ and ‘Locked Out of Heaven’ are pushed to the end as an encore, admittedly it’s for impact but it feels a little rushed to have, arguably, the biggest hits not as core material. ‘Just the Way You Are’ and ‘Marry You’ are added in for additional power-ballad effect, with girl gangs tightly clasping each other and coming up with their own remarkable choreography to give Mars’ dancers a run for their money. It’s on tracks like this that one can see Mars’ true commitment to showmanship; he engages with the audiences, his footwork is as flawless as his vocals, and his voice is as lavish as his set. It’s a night out infectious energy from start to finish, Mars is a staunch performer and no one who was present can say otherwise. At an earlier point in the night, he looks into each side of the crowd, teasingly remarking that they can’t dance because they’re too busy trying to get the perfect shot. ‘You gonna put this on your Instagram? #brunomars’, he quips with a coy grin that just makes him even more charming. The stage designer must have done overtime to bring it all to fruition, confetti everywhere with all the set pieces the stage can handle as well as pyrotechnics, the 3Arena is more heavily decorated than a teenage disco. However, it doesn’t stop at the stage, from head to toe, he’s embodied the entire 24K vibe, decked out in a Versace tracksuit – I can’t tell if it’s irony or just blatant overkill in terms of affection towards Versace – with fresh-out-of-the-box trainers to top it all off. He’s got the moves and voice of MJ but with the swagger and attire of Kanye – and that’s never a bad combination.